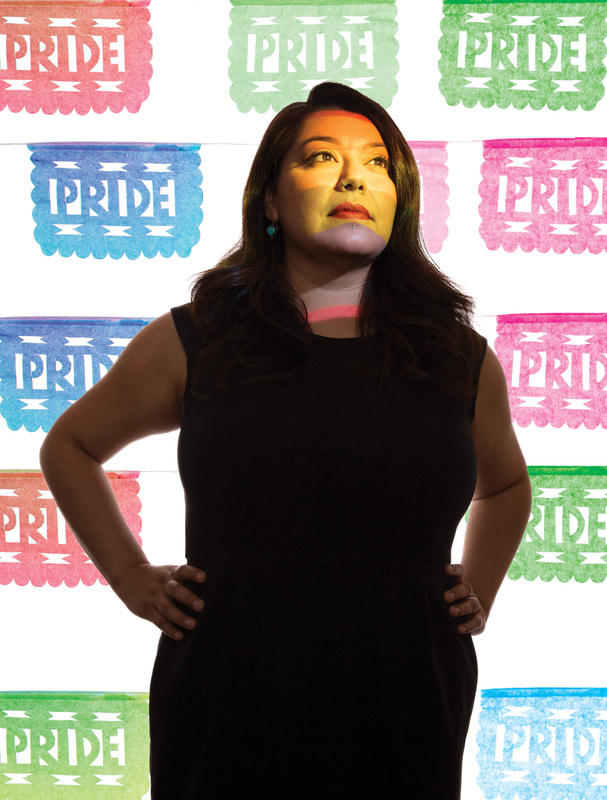 Maribel Martinez, ’03 Political Science, ’12 MA Applied Anthropology, is completing her first year as the manager of Santa Clara County’s new Office of Lesbian, Gay, Bisexual, Transgender, and Queer (LGBTQ) Affairs, the first office of its kind at the county level in the United States. SJSU’s first Chicana student body president, she also served as student government’s Campus Climate director, a liaison for social justice, religious and ethnic organizations. She spoke with Washington Square about the continuation of her groundbreaking work and career. My student-leader, scholar-activist training shaped who I am and the work that I do. At SJSU, I began to understand larger systems of oppression and institutional barriers on a theoretical level, while experiencing firsthand race, class, and gender discrimination—including very public campaigns against me with racist and sexist themes. I learned the power of organized people and the responsibility of including marginalized voices in the decision-making process. I owe a great deal to SJSU; SJSU is a campus of opportunity. After graduation, at the Cesar Chavez Community Action Center, I worked to create strong bridges between the campus and the community. Over nine years, with the help of an amazing student staff, I helped build the center into a program that interfaces with thousands of K-12 students and annually provides more than $100,000 in service to the community. We created two elementary mentoring programs and a college readiness program for high school students. We initiated a food program for hungry Spartans. When incidences happened on campus—such as the disbanding of EOP, the hate crime report, and the Latino discrimination case—the center gave students a place to respond and take action. Now as manager of the Office of LGBTQ Affairs, I have the opportunity and great responsibility of spending my entire workday thinking of ways to improve the lives of LGBTQ residents of Santa Clara County. My job is to ensure LGBTQ residents and their families have access to culturally competent help when they visit county offices, and that county employees have all the tools they need to provide excellent services. Within the county, we are working across systems to increase awareness, improve access to services and programs, support inclusive environments and create policy and implementation processes to support LGBTQ communities. We have come a long way in this post-Stonewall/marriage equality era, but there is still much more to do, especially for those most in need.